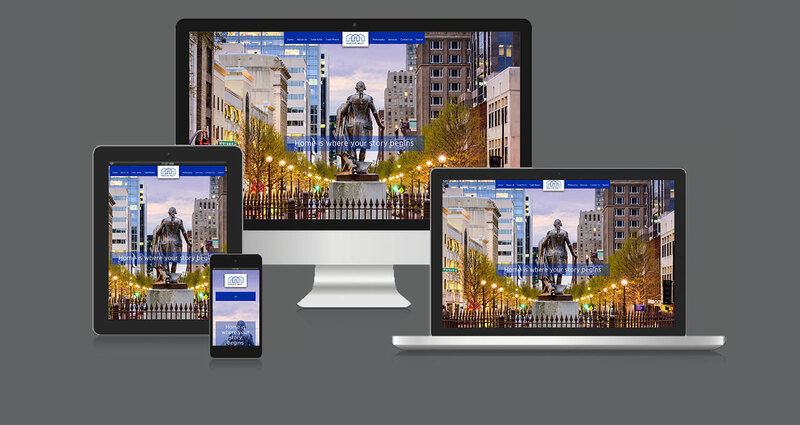 Generate Design, one of the highest-rated, Raleigh-based, website design companies, takes pride in its substantial portfolio of websites. 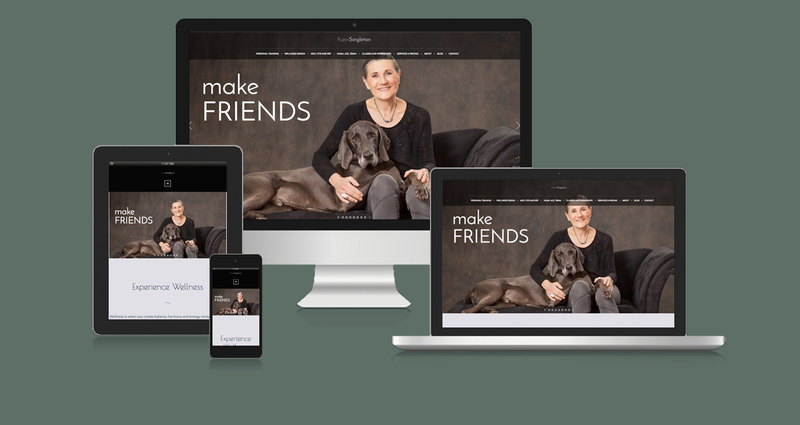 After 20 years of working closely with clients throughout the Triangle, Generate Design has perfected its website design method. First, Generate Design learns extensively about its client’s business before beginning the website design process. 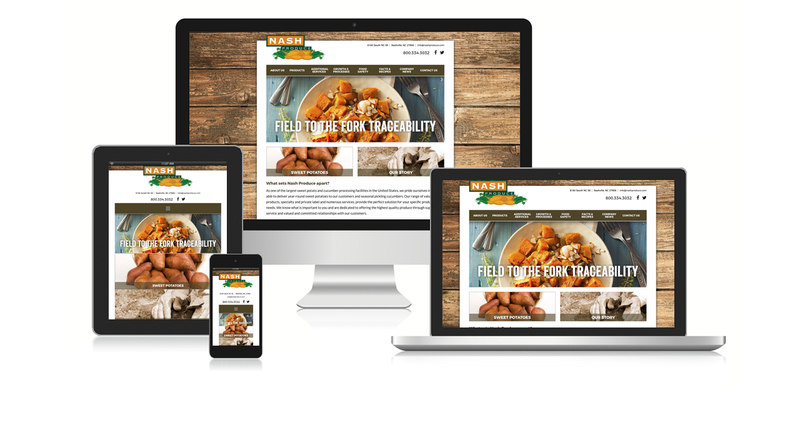 After Generate Design fully grasps its client’s goals, designers craft multiple website layout options uniquely tailored to the client’s needs. 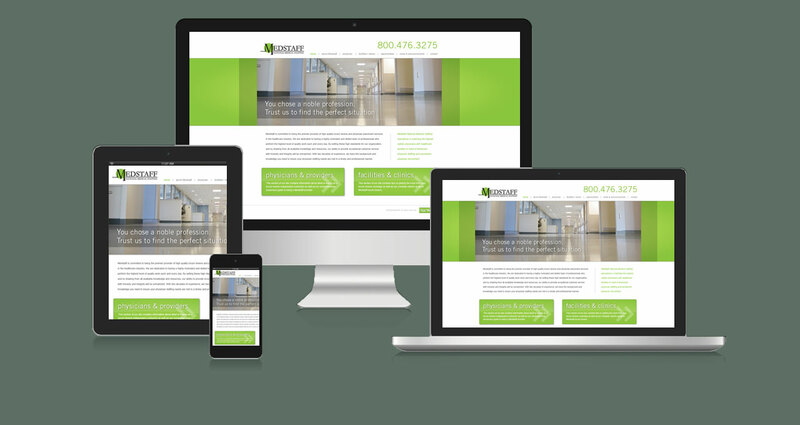 Once the client approves a design, a seasoned website developer builds the website on Generate Design’s staging server. 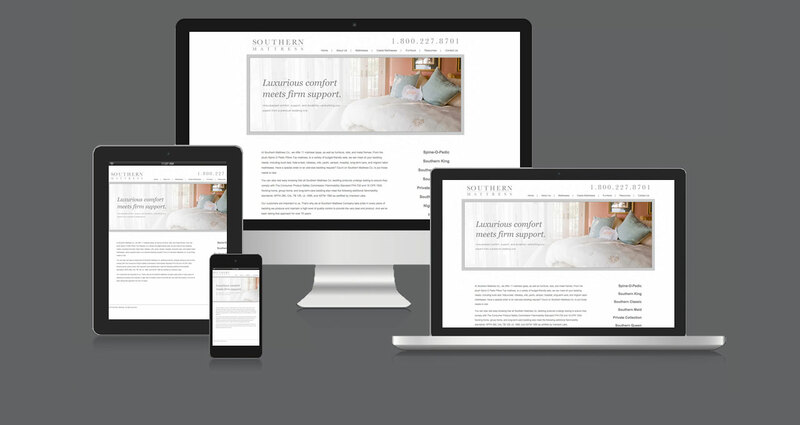 Then, the website developer provides the client with a link, so that the client can “test drive” the website and make final edits prior to launching. 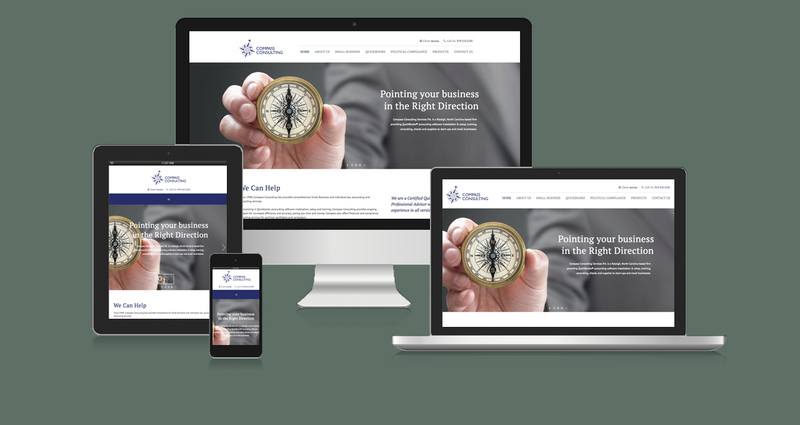 When the website finally goes live, the client can come into the office to receive a tutorial on website maintenance – updating text and photos. 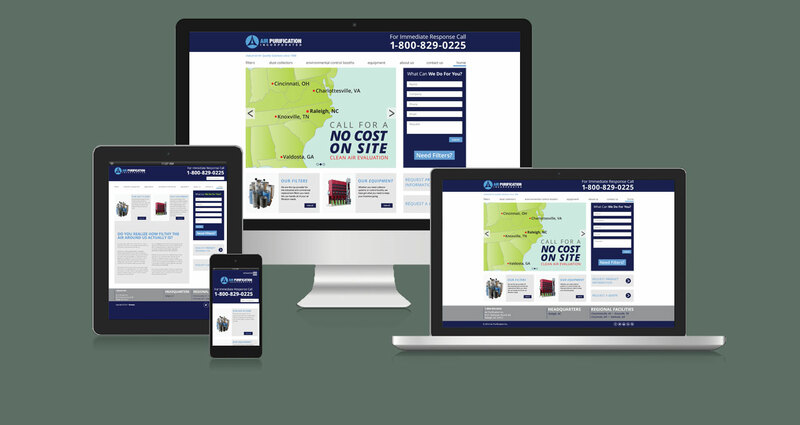 Furthermore, Generate Design offers supplementary assistance with website enhancements, custom software integration, and search engine optimization (SEO). 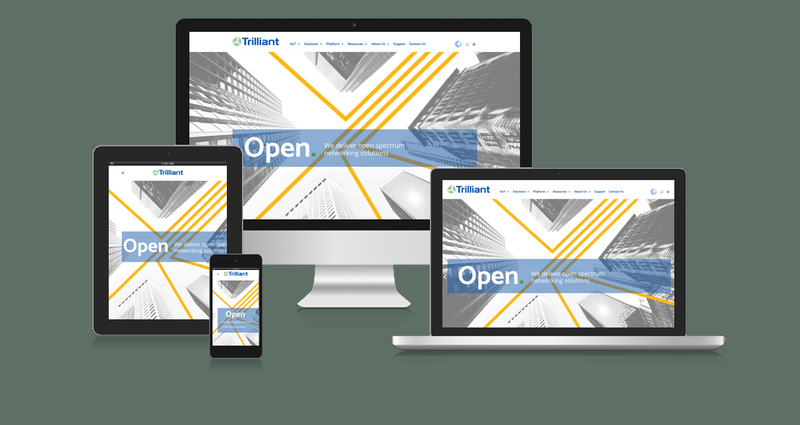 Trilliant helps deploy a broad set of smart grid initiatives such as advanced metering, distribution automation, demand response and distributed energy resources. Organic Leaf Skincare uses sustainable farming and green practices to create natural, organic, and healthy skin products. Their mission is to deliver the healthiest and most effective skin care products, while protecting the future of our planet through conscientious and green practices. This upscale, Four Diamond Italian Restaurant recently underwent major renovation, as well as a complete revamping of their website. 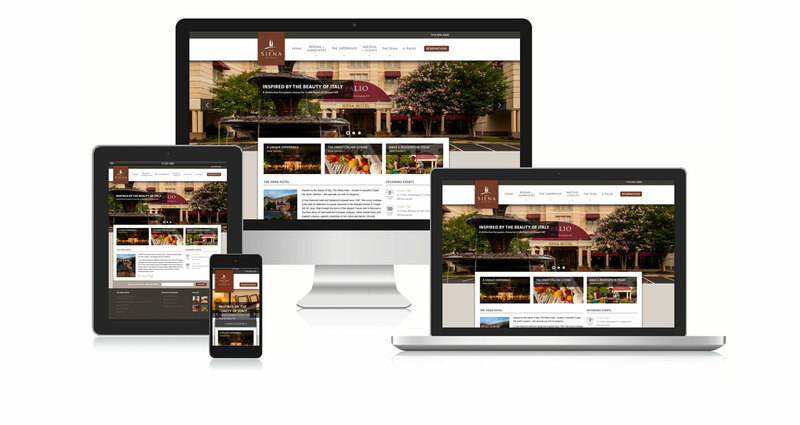 Developed with Il Palio’s intimate and classic style in mind, the new website is vibrant and immediately engaging. 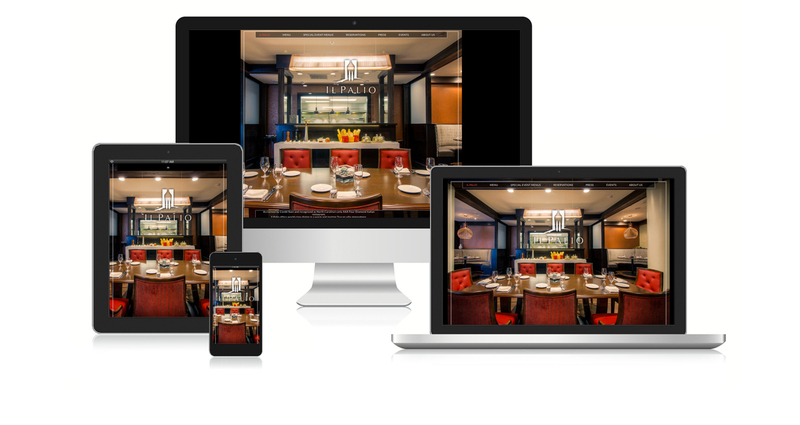 Now fully responsive and mobile friendly patrons can use the Il Palio website to easily view the menu, find information on location and hours of operation, and quickly make reservations from their mobile devices. BuildSense provides full service architecture and construction across a wide range of styles and design periods, and offers renovation and additions services as well. Their mission is simple: make excellent, custom, beautiful, site and climate-specific houses available and affordable to more homebuyers. Known for its Green design principles and sustainable, energy efficient, comfortable homes, BuildSense is not only dedicated to their client needs, but conscious of and responsible to the communities and environments in which they work. 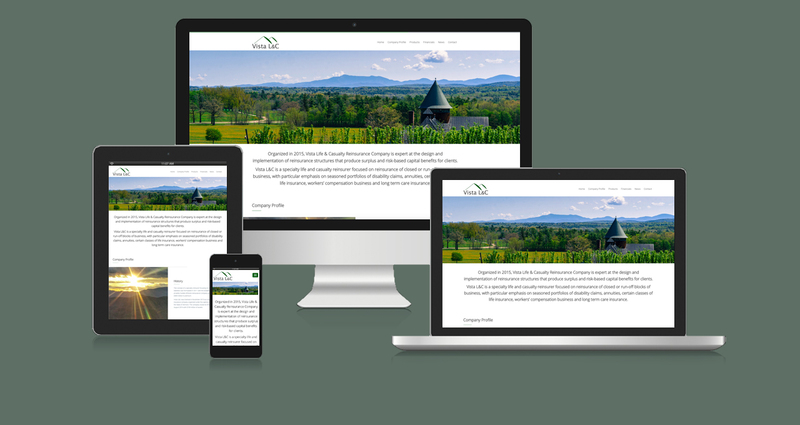 The website reflects this company’s dedication to functional and beautiful design by focusing on previous projects, exceptional photography, and easily accessed information. Dry Eye is a progressive disease, and without appropriate treatment it can worsen over time. A ground-breaking treatment, LipiFlow soothes dry eye symptoms with its revolutionary technology, backed by over 25 years of scientific research, and returns comfort to the lives of millions of people who formerly suffered from severe Dry Eye. The website serves as a multifunctional educational tool about the symptoms and dangers of Dry Eye, offers quick and easy tests to help users determine if they are suffering from the disease. 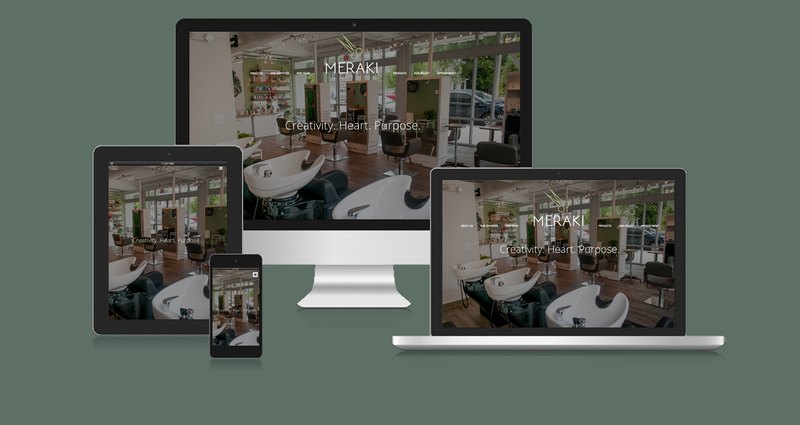 Meraki Salon endeavors to promote a business primarily focused on people through innovation, creativity and sustainability. Their passion for a green and eco-friendly environment is supported by not only the products they provide but also through ongoing education, to ensure they reach this goal effectively. Our goal was to convey this and more through their website. 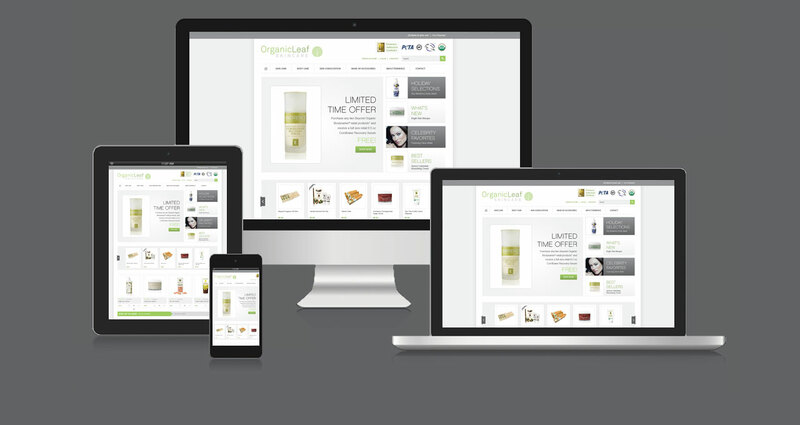 A clean design makes it easy for viewers to shop for high performance products and stay informed. The classic black and white photography enhances muscle tone and definition – exactly what Quantified Nutrition’s products provide. Since 1965, AstroTurf has been a household name for durable indoor/outdoor sports turf. Through decades of research, testing, and development, AstroTurf has evolved to be more and more like natural turf for, offering a range of heights, color variations, plushness, etc. 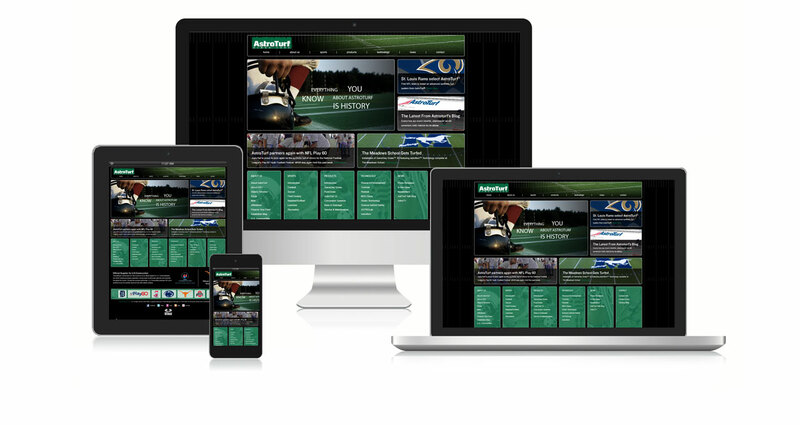 The website educates the consumer about AstroTurf product line options, provides extensive information about the science and use of artificial turf, and keeps visitors up-to-date with major company projects. 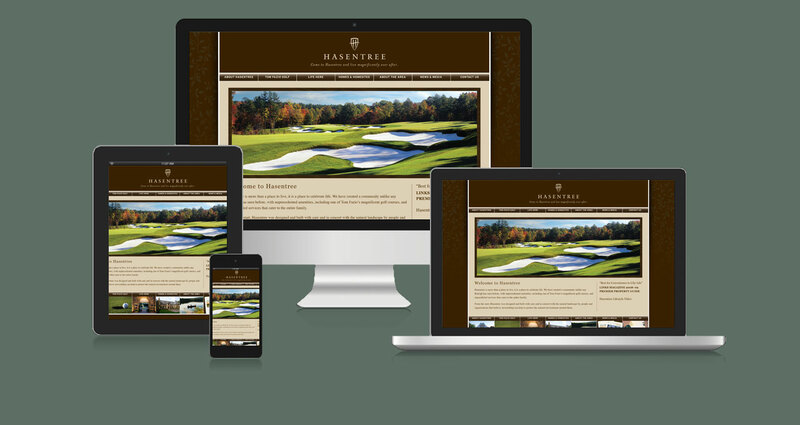 Hasentree is an Audubon Society Gold accredited, golf course community located in North Raleigh, NC. Featuring luxury amenities, tennis courts, three swimming pools, and a large community club, there’s always a new way to experience the relaxation of a getaway without having to leave home. 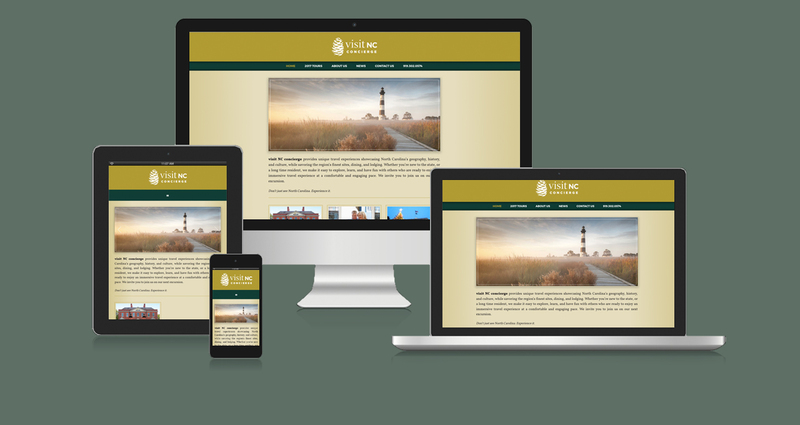 This website design features the blend of nature and the beauty of the community creating an immersive, engaging user experience focused on the peaceful and relaxing environment at Hasentree. Praedium Real Estate agency specializes in meeting the needs of home buyers and sellers seeking a personalized, boutique experience. Accordingly, this website is designed for those wanting to build a quality relationship with an agent who has their best interests at heart. This is not the company for those seeking a quick and impersonal transaction. The Siena Hotel, Autograph Collection, is an upscale boutique hotel. AAA rated Four Diamond hotel and restaurant recipient since 1987, the Siena Hotel adds its distinctive European character to the Raleigh/Durham & Chapel Hill, NC area. The website helps the visitor step through the doors of this elegant Tuscan villa to discover a luxurious décor of hand-selected European furniture, Italian marble floors and majestic columns, against a backdrop of rich colors and fabrics. Since 1968, Triangle Dentistry has assisted its clients in achieving peak dental health. Triangle Dentistry helps clients prevent dental disease, and it creates individual treatment plans for its clients. 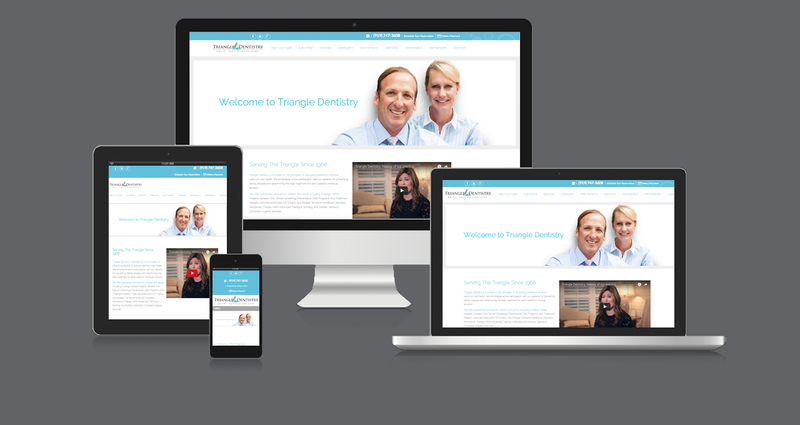 To emphasize Triangle Dentistry’s commitment to improving its clients lives, its website highlights client testimonials, community events hosted by Triangle Dentistry, and contests patients can enter to win prizes. Youth Forward collaborates with nonprofit organizations, schools, and local government to benefit the youth in the Chapel Hill/Carrboro area. It believes that all children should be valued and supported to succeed in life. 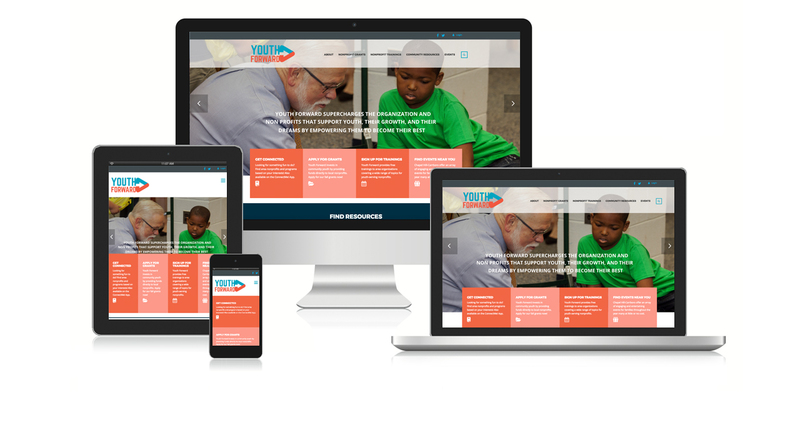 Youth Forward’s website features a vibrant color scheme that mirrors Youth Forward’s positivity and optimism. The website also contains a straightforward menu with pleasant iconography that provides visitors with useful resources. Visit NC provides uncommon travel experiences that showcase the best culture, history, and geography North Carolina has to offer. Both newcomers to the state and long-time North Carolina residents can take advantage of Visit NC’s unique services. Visit NC’s website features a complete list of the company’s tours, including pricing and dates. 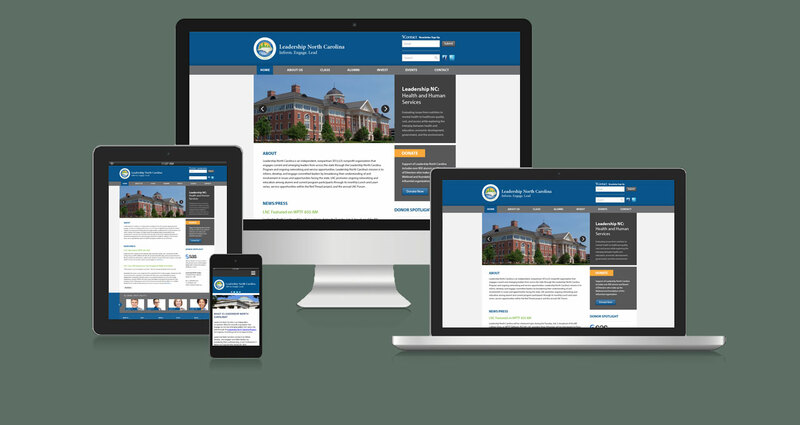 Furthermore, the website includes convenient links to Visit NC’s informative e-newsletter, blog, and Facebook page. Greystone Ltd., a real estate investing company, prides itself in being the first to bring a fully-integrated SFR platform to local investors. Greystone understands that each partner investor has unique objectives, and it strives to fully-understand its clients’ individual financial goals. 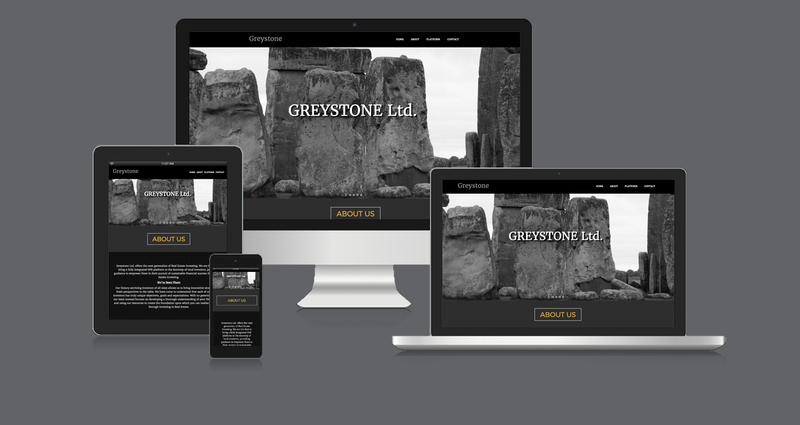 Through a black-and-white color scheme and architectural imagery, Greystone’s website establishes a sense of stability and trustworthiness. Shah Capital, a global investment firm, prides itself in being “sector agnostic,” as it looks for opportunities to help grow businesses across many sectors. 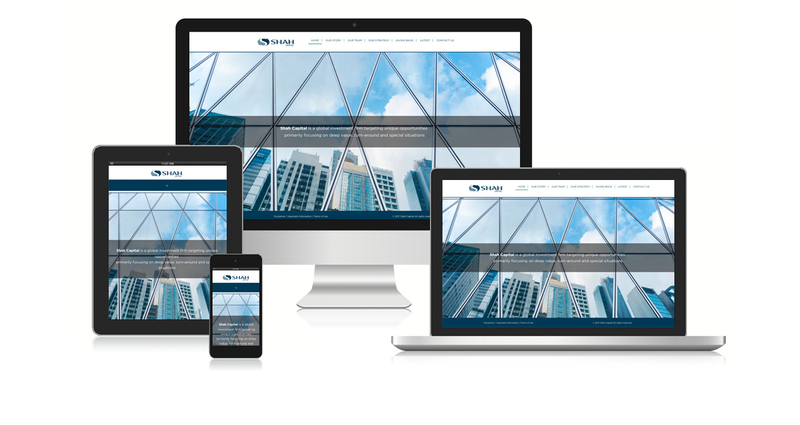 Shah Capital’s website was designed to have a cosmopolitan feel, and it showcases the company’s modernity and world-class services. For almost 30 years, Mike Young Homes has constructed high-quality homes in established neighborhoods for clients in the Triangle. It prides itself in being one of Raleigh’s leading custom home building companies. 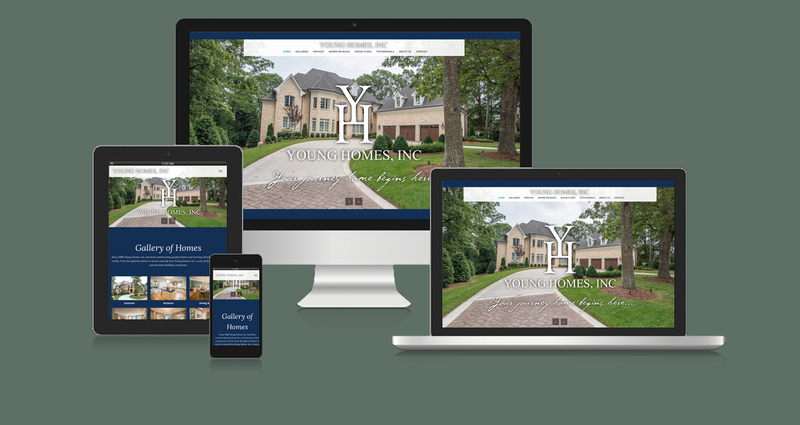 Mike Young Homes’ website features stunning photographs of its home-building projects throughout Raleigh. 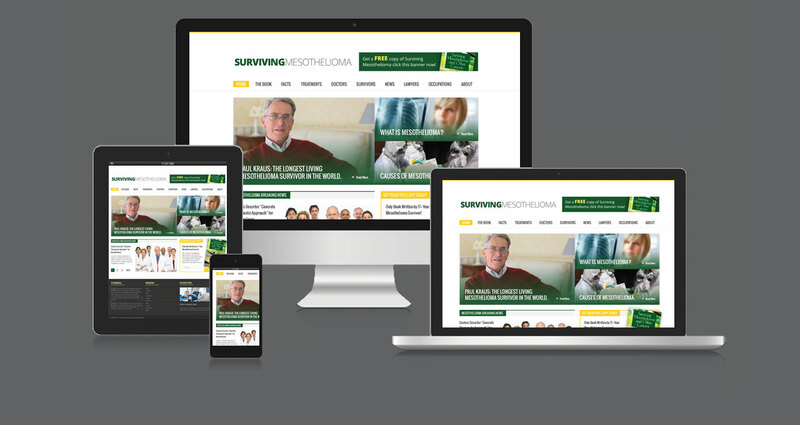 Cancer Monthly LLC is responsible for the content of this website and is the publisher of Surviving Mesothelioma and Other Cancers: A Patient’s Guide. Cancer Monthly is the only medical resource that reports the actual clinical results of cancer therapies for aggressive, advanced and metastatic cancers. Currently, it includes the results of treatments administered at over 260 hospitals. Cancer Monthly is one of the fastest growing medical websites on the internet with approximately 10,000 visitors each week. Visitors consist primarily of patients and their families, doctors, other clinicians, medical students, and medical librarians. A leader in innovative design and applied science in the float glass manufacturing industry, Stewart Engineers demonstrates passion and expertise that consistently outpaces their competitors. 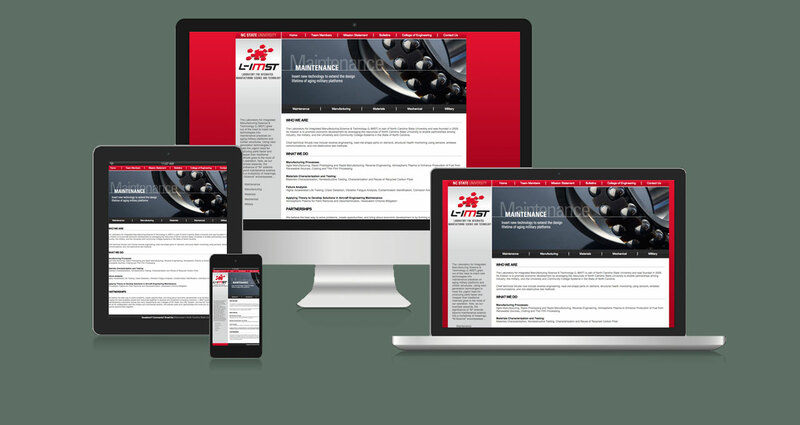 The website educates the business-to-business customer about the company’s patented technologies and available services, and provides in-depth information about every aspect of project processes and quality expectations. 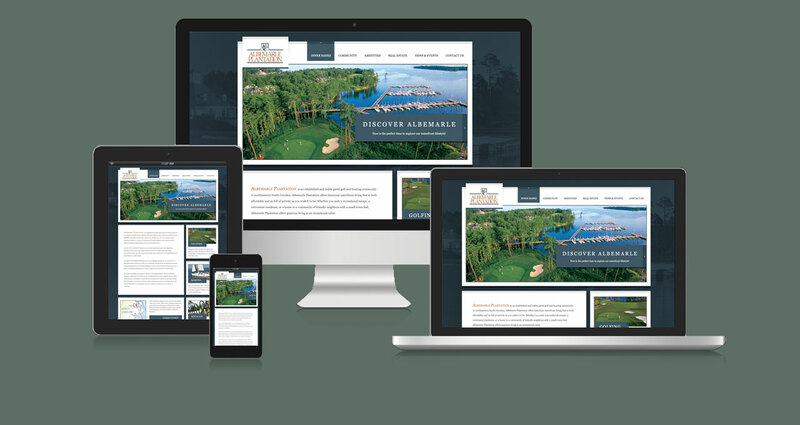 Albemarle Plantation is a private, waterfront golf community along 500 miles of Carolinas “Inner Banks” shoreline. Albemarle Plantation’s success has been attributed to its conveniently secluded location, its Dan Maples golf course, and the friendly, fun-loving nature of community residents. The website expresses this relaxed social environment and elegant surroundings through breathtaking photography, site video, and easy to find location, contact, and region information. Navicerne provides experienced guidance for management teams and business owners seeking to build their companies through strategic alliances and partnerships, investments, joint ventures, and mergers and acquisitions. 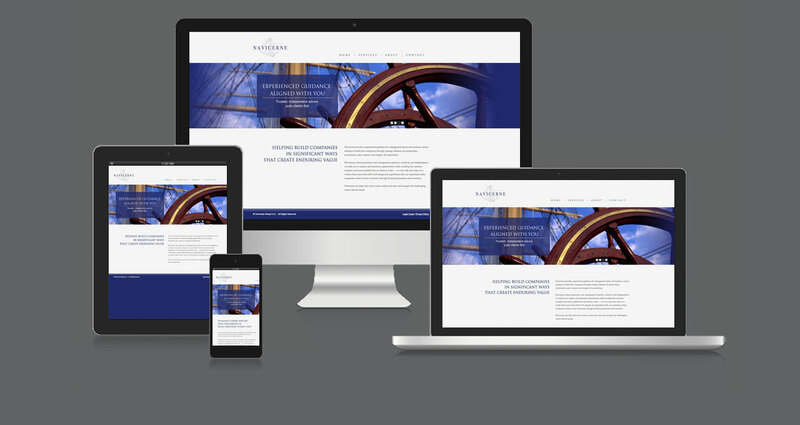 Employing a nautical theme in the website design, we selected images that conveyed charting a course, reducing risk, and navigating the challenging waters ahead. Founded in 2003, HMI is the nation’s leading provider of tree and shrub services, including standardized health inspections, repair and recovery services, expert emergency removal, comprehensive insurance claim support, and more. 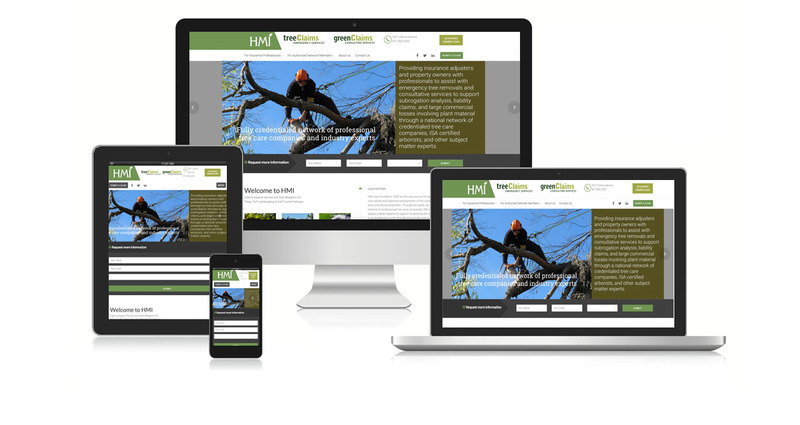 Therefore, HMI’s website maintains a green, naturalistic theme to display HMI’s passion for managing clients’ tree and shrub needs. Founded in 1871, Harvey Fertilizer & Gas Company provides agricultural products and services to growers across eastern North Carolina through its 21 retail locations. Committed to providing the innovative products and solutions today’s growers require in the constantly evolving world of agriculture, Harvey Fertilizer & Gas remains firmly rooted in their founding principles of community connection and service. 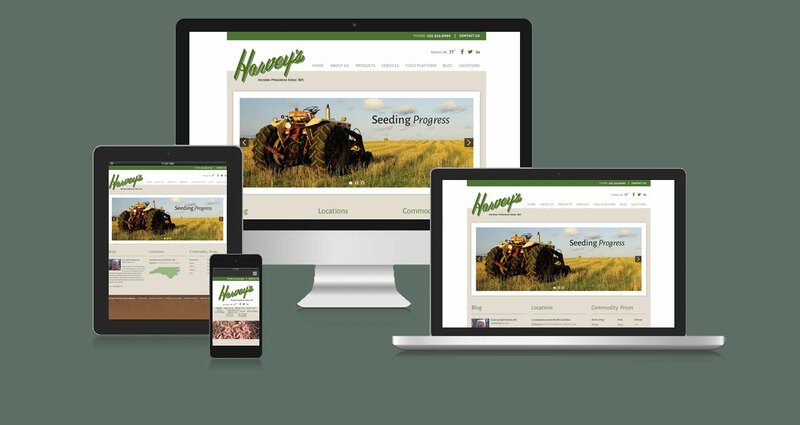 The website was designed with the company’s history in mind, but emphasizes Harvey’s Fertilizer and Gas Co.’s focus on the needs and concerns of the modern day agricultural specialist. Whether you plan to build a custom home or buy a completed new home, these are the essential questions you should ask, regardless of the size, type, style, or price of the home you’re considering. Though you’ll have many more questions to ask during the homebuilding or homebuying process getting straightforward answers to these basic questions is absolutely necessary. 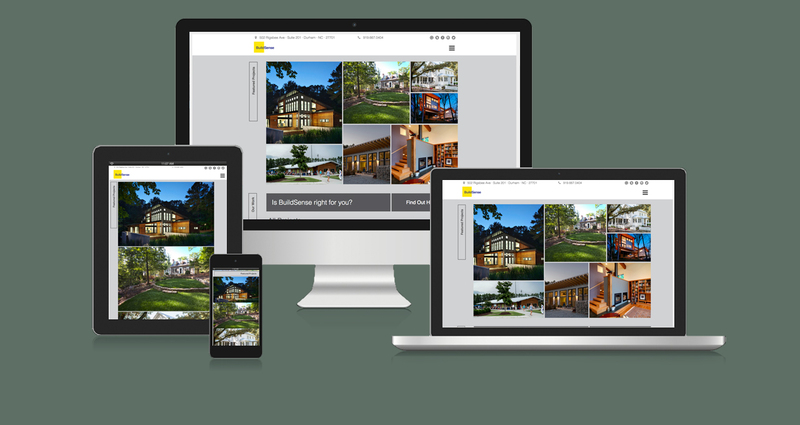 As informative as it is easy to use, this website was designed to help prospective homebuyers by providing easy-to-find contacts and educational information in a concise format. As a premier guiding company, Blue Soul Maui offers private waterfall hikes, snorkeling and outrigger tours, surfing lessons and board rentals, guided road to Hana tours, and hikes through bamboo forests, waterfalls, and mountains. 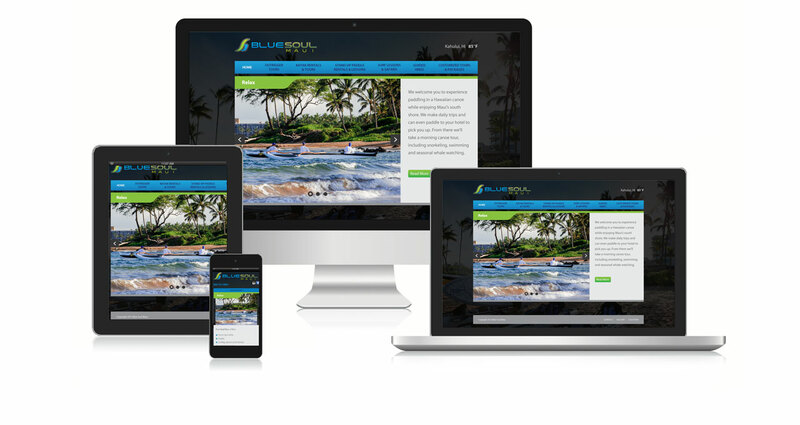 Specializing in creating a fully customized and amazing vacation experiences, Blue Soul Maui’s website reflects and beckons to the adventurer’s spirit with inspiring photography creating an inviting and relaxed atmosphere. An independent, non-partisan, non-profit organization, that engages current and emerging leaders from across the state, Leadership North Carolina’s mission is to inform, develop, and engage committed leaders by broadening their understanding of and involvement in issues and opportunities facing the state. Each year LNC recruits committed individuals interested in learning more about their state and connecting with fellow leaders, to participate in their Leadership North Carolina Program. Through innovative programming LNC teaches these engaged citizens about the challenges and opportunities facing North Carolina, and offers participants the necessary tools to turn their knowledge into action for the benefit of the state. Transparency Auto Glass repairs and replaces broken windshields, glass, and mirrors in all types of vehicles. Furthermore, it works with insurance companies to meet clients’ auto glass and windshield needs. 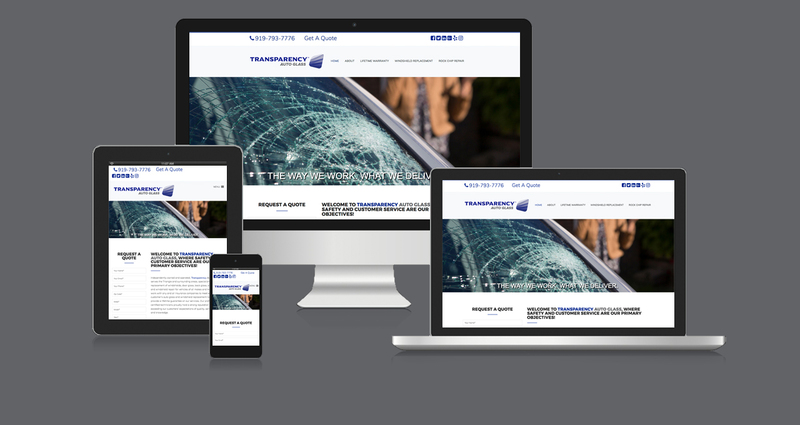 Transparency Auto Glass takes pride in the expertise and customer service of its technicians, and it provides a lifetime guarantee on all of its services. 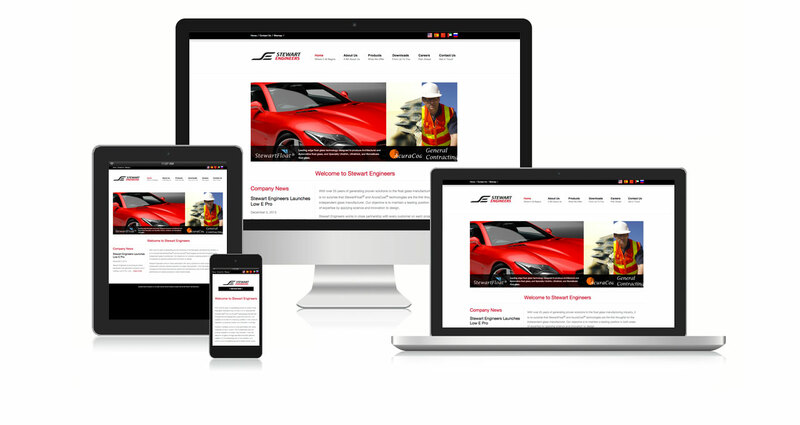 Its website allows visitors to quickly and easily get a quote on repairs and replacements. Compliance, Safety and Accountability involves everyone within a fleet company. It’s very important that you understand the algorithmic process involved in determining your company’s safety profile, and why it’s important to review them. Motor Carrier Safety Analysis (MCSA) researches and analyzes these algorithms to ensure that client organizations continue to strive for best safety performance and receives the most accurate ratings possible. 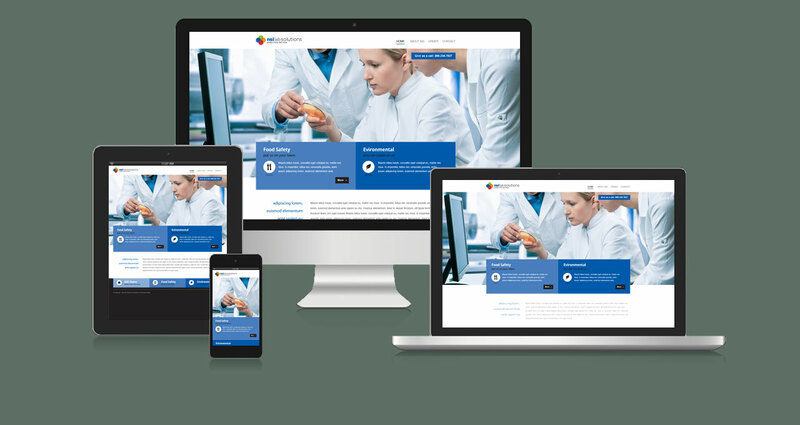 This website was designed to offer a sense of authority and expertise in the industry, and does so through direct and active images and swift user interface. NSI Lab Solutions was founded in 1982 to operate reference materials program for the USEPA. Today NSI Lab Solutions continues to manufacture and certify reference materials, reagents, and proficiency testing samples for applications ranging from classical water chemistry and microbiology, to solid and hazardous waste analysis, meeting international quality standards every step of the way. 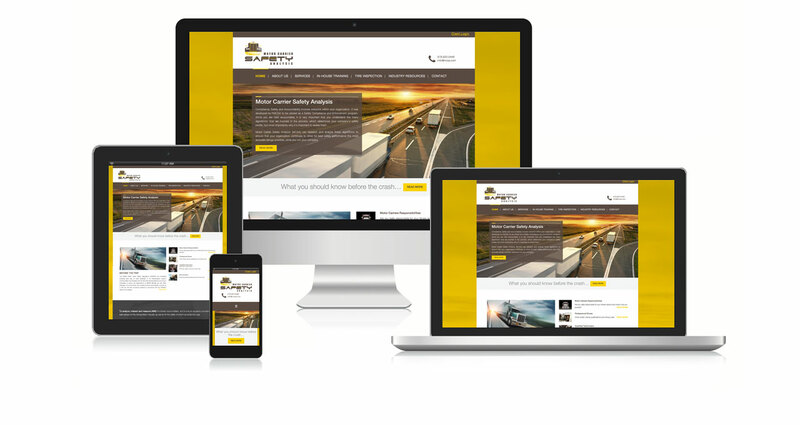 Designed to highlight the company’s energetic and client-focused mindset and mission, this website uses a bright, contrasting color scheme, forefronts essential company contact information for easy reference, and provides visitors with all the information they’re searching for through great attention to detail in page arrangement and swift navigability. Vista Life & Casualty Reinsurance Company masterfully creates reinsurance structures that produce surplus and and risk-based capital benefits for clients. 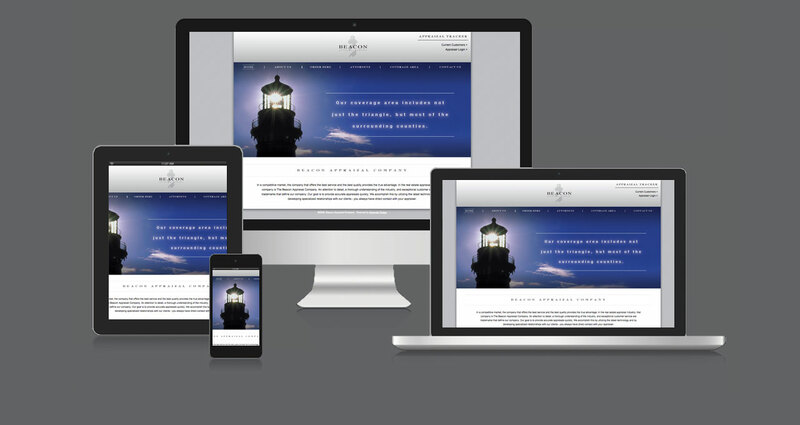 Its navigable website features beautiful vista imagery to create a sense of calm and positivity. TPB has grown to support more than 40 farmers and 60 artisan food businesses across the state. The staff has grown – from one stay-at-home mom in her garage to 200 moms and dads helping their neighbors in the Triangle, Wilmington, Charlotte and the Triad eat healthier. Wow! A premier architectural firm serving the Southeast, Plainworx pursues excellence in commercial and residential architecture, construction administration, and land planning. The company strives to integrate intelligently balanced creativity, feasibility, functionality, and value into every project. 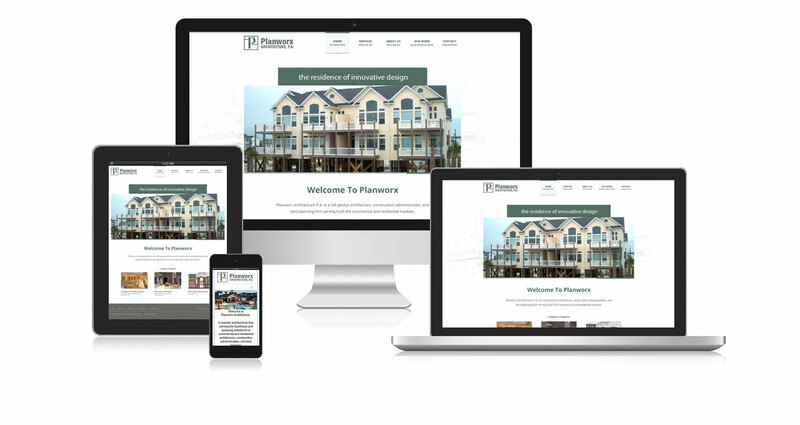 Specializing in new home, a multi-family community (apartment, townhome, senior center, or condominium), addition/renovations, and commercial construction, the mission and promise of quality and dependability are the focal points of this website’s design and function. Karen Singleton, a personal trainer since 1995, works closely with her clients to help them lead healthy lifestyles. Singleton believes in a holistic approach to wellness, and she strives to improve the balance in both her clients’ bodies and daily lives. Singleton’s website emphasizes her numerous services and rich experience as a personal trainer. The color scheme of lavender and slate blue reflects a sense of tranquility Singleton hopes to instill in her clients through her work. Located in Rocky Mount, NC, Southern Mattress Inc. is family owned and operated, and has been in continuous operation for over 75 years. Southern Mattress Inc. manufactures high-quality products to meet the bedding and furniture needs of Eastern North Carolina, Virginia, South Carolina, and an ever-growing international market. This website conveys the luxury and dependability of the company, utilizing a soothing yet modern design. Sunstates Security Guard services has grown to 1,800+ employees through cultivating a reputation for exceeding our clients’ needs and expectations. Their goal is to change the way clients think about safety and security by going “above and beyond” every day, basing all decisions on our guiding principles: honesty, integrity and trust. 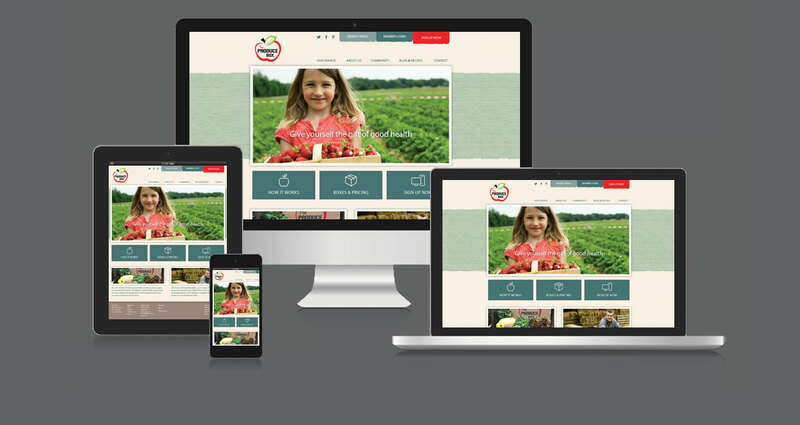 Our goal was to have that come across through their website design. Committed to representing the victims and families of victims of nursing home negligence and assisted living neglect, Guggenheim Law exclusively handles and prosecutes nursing home and assisted living cases. They have achieved outstanding results for their clients, including some of the largest verdicts and settlements for nursing home and assisted living cases in the State of North Carolina. 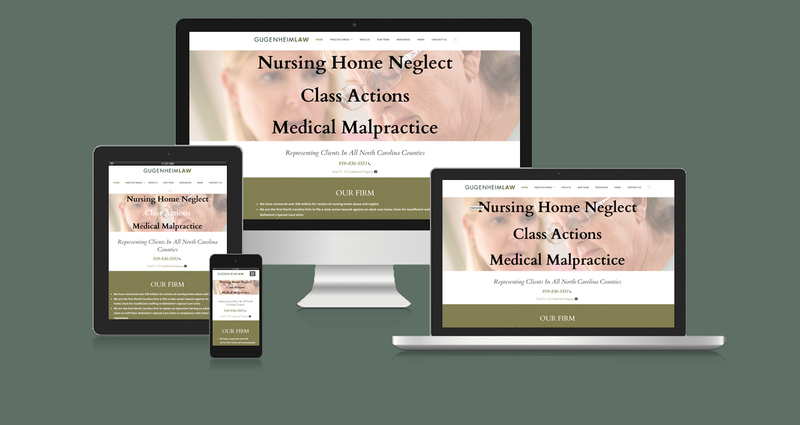 Featuring soft colors and sophisticated design, this website conveys a sense of sympathetic awareness to victims of negligence and neglect and their families, while also seeking to inspire the level of trust and confidence prospective clients need to pursue their cases with the assistance of Guggenheim Law. 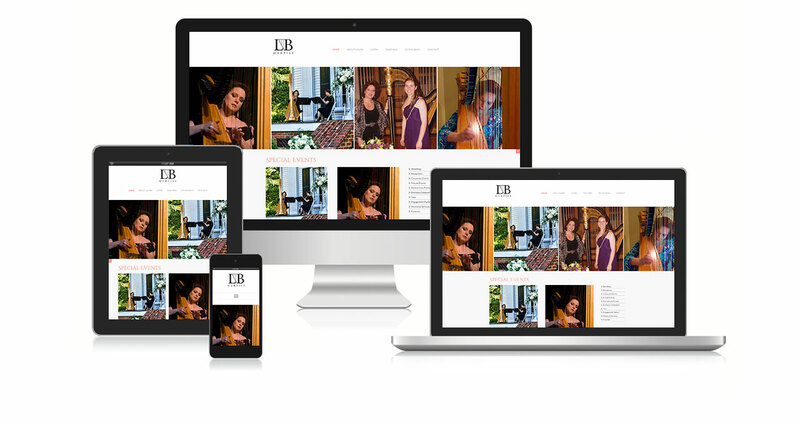 This elegant website represents Laura Byrne, a classically trained, professional harpist. Equally at home on the concert stage or as a soloist, Laura is available to play for all types of special occasions and celebrations. Her vast repertoire of classical, popular, and jazz standards resonates with guests of all ages, and adds that perfect touch of elegance and sophistication. This website offers reviews of Laura’s performances, samples of her work, and information about her availability as a teacher. A leader in cutting edge technology, Nay Ortho uses Damon Braces, Invisalign, and Invisalign Teen, as well as traditional braces to accomplish the best bite and aesthetic look possible for their patients. 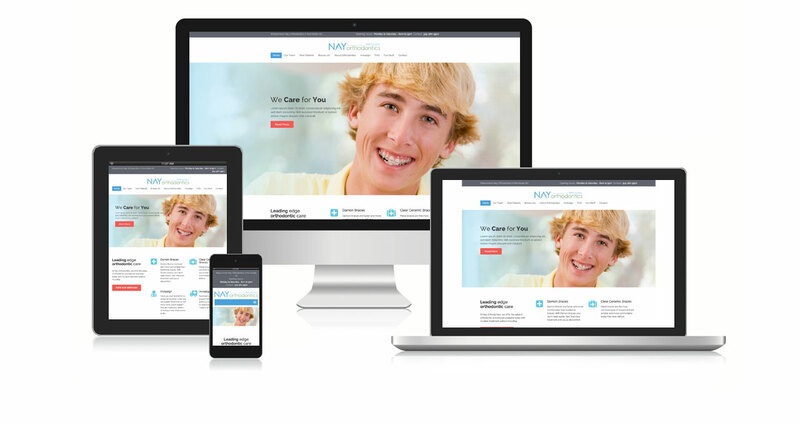 This website design reflects the positive and clean environment, provides significant product and procedure-related information, and features the exceptional results of the orthodontic team. A leader in the locum tenens and permanent physician placement industry, Medstaff maintains a well-earned reputation for excellent service through unmatched experience, speed, and reliability in placing the highest-caliber medical caregivers promptly and professionally. With exclusive agreements with thousands of healthcare providers nationwide, Medstaff offers registered nurses the unique opportunity to travel, along with exceptional career flexibility. Air Purification Inc. is able to provide the right solution for healthy, compliant air purification quality, from source capture fume extractors to portable, explosion-proof HEPA vacuums, ambient free hanging systems, NFPA compliant multi-station dust collectors, and self-contained downdraft wet collectors. 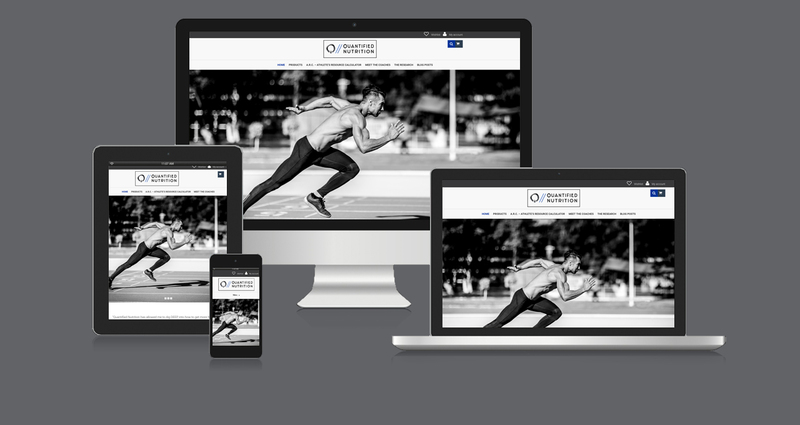 Website development focused on clean lines and a contemporary design with information arranged for user convenience. This website offers users who’ve found a lost pet to post pictures, add a description and location of the found dog or cat, and a way for the pet owner to reach the finder. If a pet is lost, the owner can post free of charge. 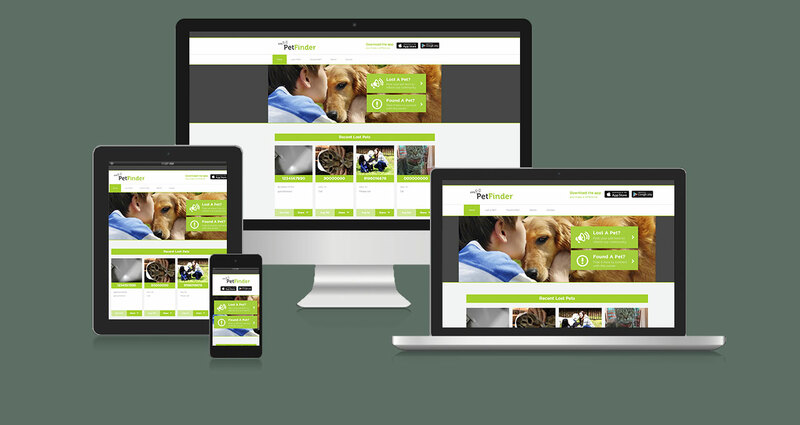 With the option for users to share their posts immediately on Facebook and Twitter, the MyEZ PetFinder website is much faster way to unite owners and their lost pets, than putting up signs and posters. The Cypress of Raleigh features a beautifully landscaped campus with unique benefits of home ownership and an unparalleled collection of amenities to enhance precious leisure time. 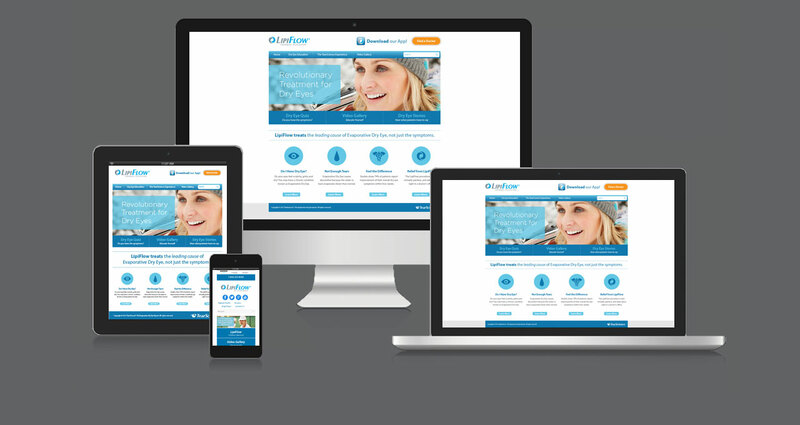 This website was crafted to highlight this exceptional community which combines an array of lifestyle services with easy access to quality, on-site health care. 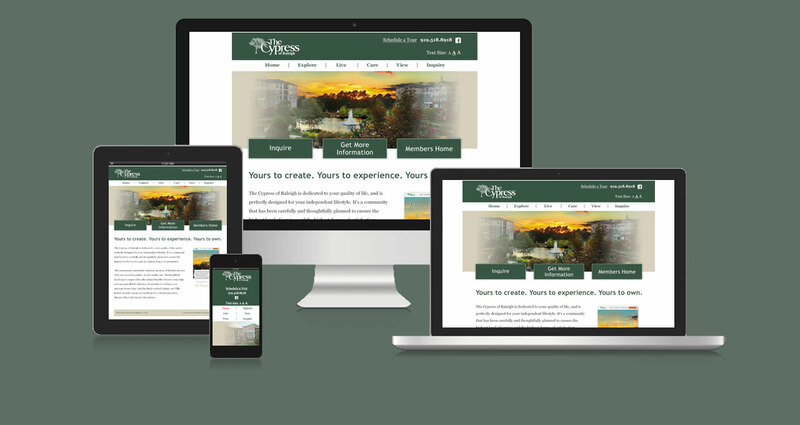 This website emphasizes the welcoming environment at The Cypress of Raleigh and features video member testimonials, among other informative sections. Founded in 2005, The Laboratory for Integrated Manufacturing Science & Technology (L-IMST) is part of North Carolina State University. Its mission is to promote economic development by leveraging the resources of North Carolina State University to enable partnerships among industry, the military, and the University and Community College Systems in the State of North Carolina. Chief technical thrusts now include reverse engineering, near-net-shape parts on demand, and structural health monitoring using sensors, wireless communications, and non-destructive test methods. 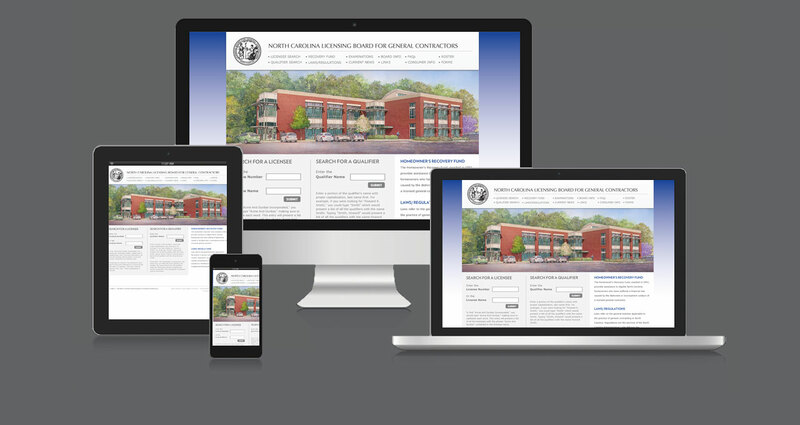 This website was developed to fit NC State’s departmental website formats and regulations, but provides the user with a sense of cutting edge technology and the excitement of ongoing research and development. In a competitive housing market the company that offers the best service and the best quality provides the true advantage for their clients. In the real estate appraisal industry, The Beacon Appraisal Company maintains and offers attention to detail, a thorough understanding of the industry, and exceptional customer service. These trademarks guide and define the company in providing quality appraisals. 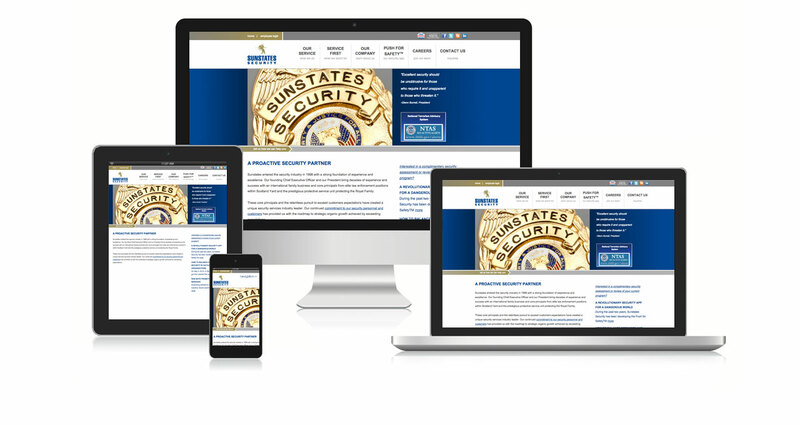 This website conveys The Beacon Appraisal Company’s commitment to their standard of excellence through the use of clean and uncluttered design that inspires well-deserved trust in current and prospective clients. Quick and convenient. 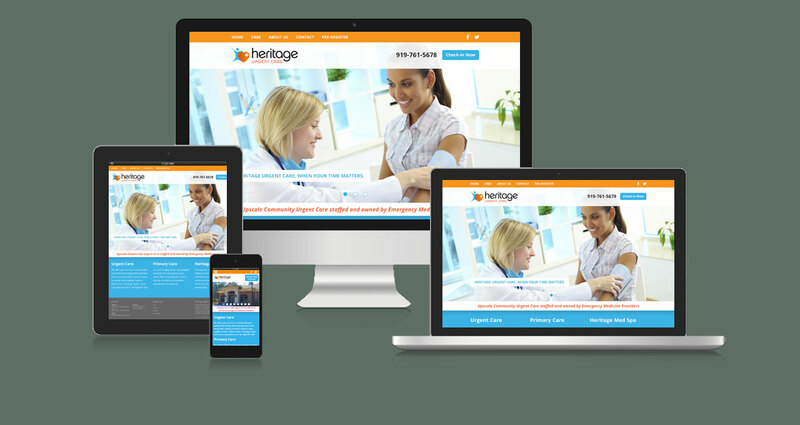 This website had to be easy to find and help the user quickly find the comprehensive medical services offered at Heritage Urgent Care, from pediatric to geriatric medicine, to treatment and management of wounds and orthopedic injuries. In many cases, they are a better alternative to an ER visit. 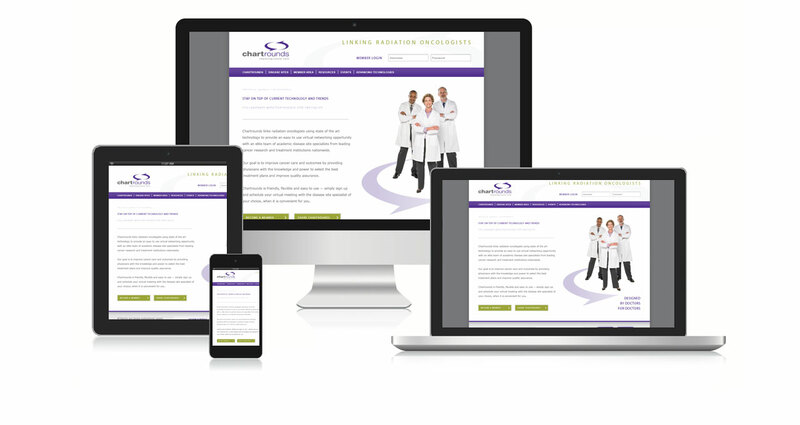 Saving lives one at a time via virtual “rounds”, this website was created as a multipartner venture among Johns Hopkins, Duke, and Vail Valley Medical Centers, and connects world renown experts with practicing oncology radiologists and surgeons. Through a private, HIPPA compliant, face-to-face session, doctors can bring their difficult cases to experts in radiation oncology, and find solutions or adjust treatment plans for patients who otherwise would not have access to the most specialized and advanced care possible.